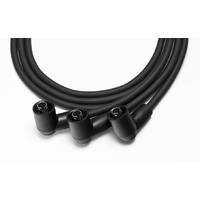 The Classic Twin utilises 21st century technology to provide simple installation without the black box, superior running and easy starting without kick back. Many years of experience with classic motorcycles and extensive development has resulted in this high precision, zero maintenance, compact and reliable system. Built in self test mode and LED for setting the timing. 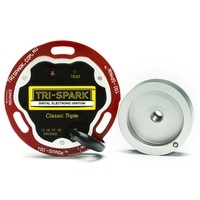 The TRI-0005A is suitable for Triumph Unit Twins (T100, T120, TR7RV, T140 Bonneville, Tiger, Daytona etc), Norton Atlas and 1968 Commando, Enfield Interceptor - Clockwise Rotation. The TRI-0005B is suitable for Norton Commando 1969-75, BSA unit twins (A65, B50), BSA singles (B25 etc) and Triumph singles (Tiger Cub) - Counter Clockwise Rotation. This is a 12 volt system for positive OR negative earth/ground installations. 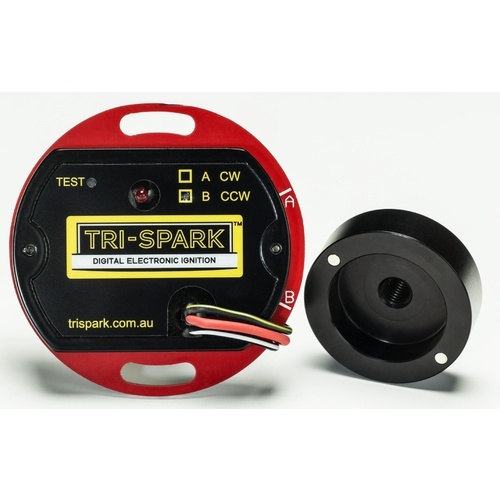 Ignition Coils Tri-Spark 6V high performance coils (2 required for twins); IGC-1006. 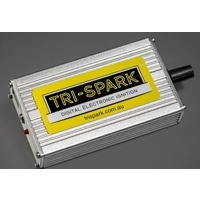 Ignition Coil Tri-Spark 12V high performance coil; IGC-1012. 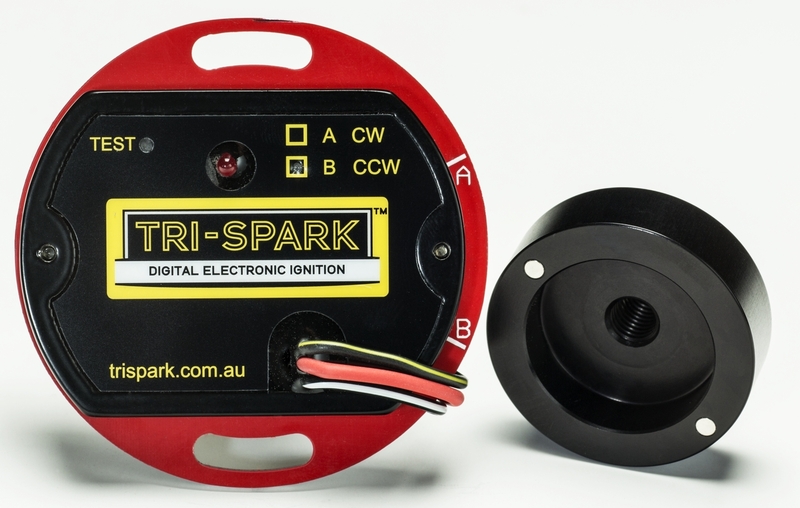 The direction is the way the Tri-Spark rotor turns when installed in the engine and looking at the front face of the rotor. Why 2 versions? 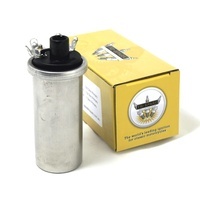 The direction and speed of rotation are used to opimise the starting performance which is critical for kickstarting and also helps to avoid damage to the electric start mechanism which is easily damaged in some machines if the engine kicks against the starter. We designed this unique system because want your engine to fire up easily! The Classic Twin is generally used for parallel twins with a 360-degree crank configuration, however it may be used on engines with offset cranks such as 270-degree. A modification is required to the trigger rotor for offset crank applications to reposition the magnets to suit your engine. Please add the Offset Crank Rotor to your cart and specify the degrees and for what bike in the delivery note section. Hi All, When I got my 850 Electric Start, it was fitted with a Boyer, and during startup, kept kicking back through the sprag. This was making a nasty grinding noise through the overload clutch. 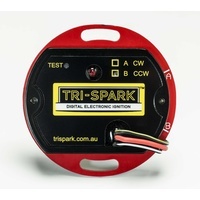 I fitted the Trispark and the problem went away. It idles better too. My advice for any vintage British bike is to buy brand new Amals and get a Trispark . 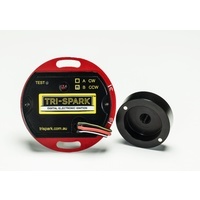 Hi Steve, I fitted Tri Spark to my Nourish Triumph replacing the Sparx system that failed. The difference in smoothness-idling & decelerating to idle is faultless. Great service & Great Aussie product. Hi Steve, I have fitted your electronic ignition(Classic Twin) to my 1970 Norton Commando….most impressed. Previously I was using Boyer, now the bike is much easier to start and idles at a lower rpm flawlessly, also when riding in a high gear at low throttle openings the bike no longer lurches/hunts every time the engine fires. Hi Steve, ...(the A65) is going very well indeed, the way it idles is fantastic, I am very pleased with the conversion. I also have a 64 thunderbolt that I am rebuilding and I will fit it with the Tri-Spark system as I progress further with the project. thanks again for your help and the great product (Classic Twin) john.